Apparently this place came 4th in a global paella competition. They have a whole wall advertising this fact. 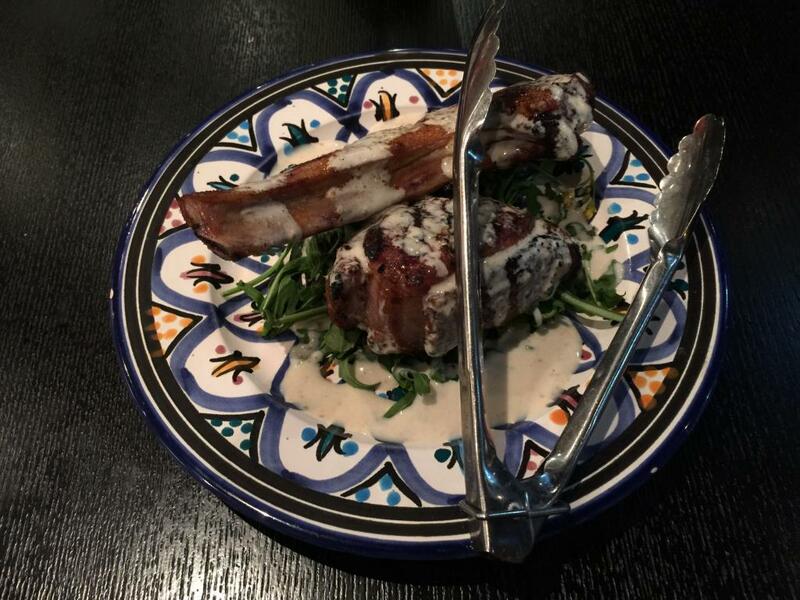 The lamb chops are slightly chewy and rare, but pleasant enough. Im not sure why they're so big. Must've been an extra-large sheep. There's no depth here. The meat has a simple cumin taste, and that's it. The yoghurt is very sparse, and has no detectable effect on the meat. The slightly butter lettuce here is best eaten on its own. With a basil and mint salsa verde. These chips don't have too much of a taste, but that's okay. Most chips don't. They have a nice saltiness and crisp to them. 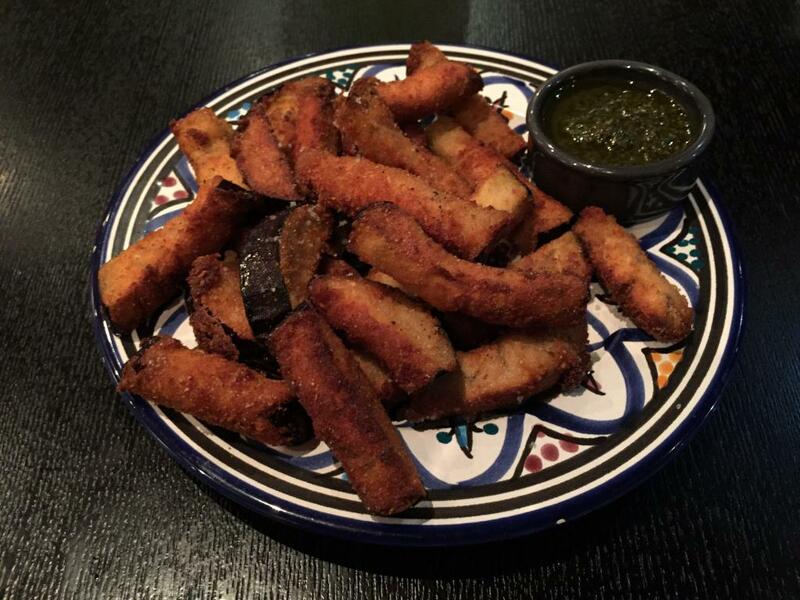 The salsa verde contains mint and basil. These are both very potent tastes, but they're overtaken by the vinegar. I'm not much tastes stronger than vinegar. This is like fancy chips with vinegar. 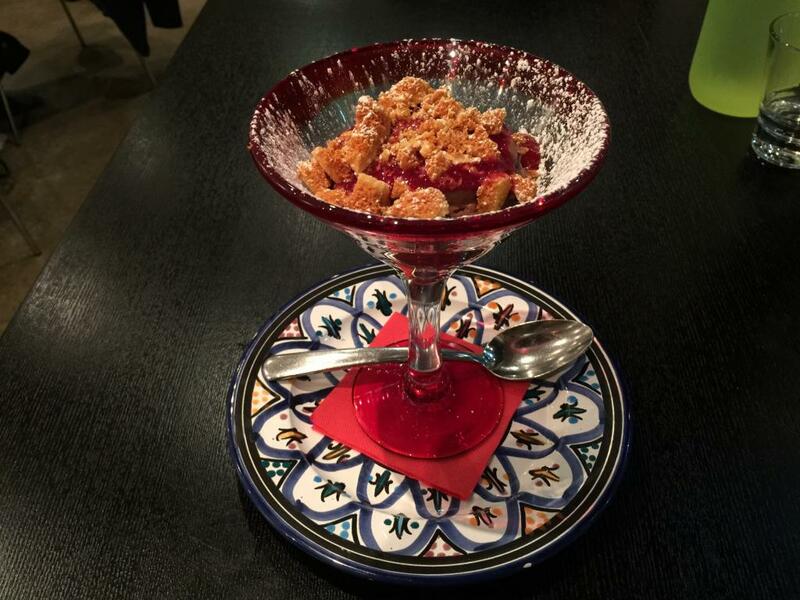 Rich chocolate mousse layered with strawberry coulis, topped with house made crumbled honeycomb. This is s simple combination, but it works well. It's just three sweet things that don't logically go together. The berries are sweet, and the mousse is mild, so it's not a chocolate-dominated dessert. The honeycomb is sweet, but amongst these other sweet components, it contributes a great crunchy texture, rather than any taste. Parking. There are no car parks. Expect a long walk.